My strenuous journey started with a seemingly simple task: I wanted to obtain a rough and tumble estimate of the amount of memory instantiating a rather opaque data structure from a third party library would consume. * and which do not mind being OS-dependent. At least the good folks over at SUN are kind enough to mention the fact all the fields are dummies in their man pages. Then I found Michael Knight’s (not that one) blog, which used the underlying mach function `task_info`. Unfortunately, Apple doesn’t document the mach API at all and the sole reference they supply points directly to nowhere. Well, if `ps` can determine memory usage, surely it should be able to tell me how. Finding the source of OSX `ps` was another story. Hint: it’s not located in the `basic_cmds`, `misc_cmds`, `shell_cmds`, or `system_cmds` package. It’s in the `adv_cmds` (advice?, advanced?, adventure?). `ps` ended up using a bunch of equally undocumented (non-mach) kernel functions. At this point I remembered that `macfuse` contains a `procfs` for OSX. To me, using `proc` seems to be the obvious way to get memory usage under Linux, so I dug through that and saw macfuse uses `task_info` as well. I finally found documentation for the mach API within the xnu sources under the `osfmk/man` directory or online here and was able to write a simplified version of Michael’s original. In case anyone knows of an even remotely portable way obtain similar information, please let me know. grab your IP address and Gateway using ipconfig in a DOS box. If the characters ‚, \, „, //, or/* occur in the sequence between the < and > delimiters, the behavior is undeﬁned. Similarly, if the characters ‚, \, //, or /* occur in the sequence between the “ delimiters, the behavior is undeﬁned. A header name preprocessing token is recognized only within a #include preprocessing directive. … the C99 Standard is available for free online This links directly to the pdf containing the current standard, which lives here. * yeah, I know, it’s legal just undefined. ** this post inspired by this. Adobe’s PDF file format comes with the possibility to restrict the things you’re allowed to do with a PDF document. This has nothing do do with encrypting the document to keep unauthorized people from reading it. Instead, authors may want to disallow printing, modifying or copy&pasting parts of a document. It’s still possible to view the documents on the screen. Apparently, on older versions of Mac OSX’s Preview, it was possible to just „Save as …“ a restricted PDF, the resulting saved file would be a PDF without restrictions. This was fixed, but the ColoySync utility still had the possibility to use the „Save as …“ trick. Apparently at some point, they fixed ColorSync as well. As far as I can tell, the easiest way to print a restricted document nowadays is to use ColorSync to „Export …“ the PDF to a TIFF file, open the TIFF (it will be huge) in Preview and either print it directly, or print to a PDF. Of course, the resulting PDF won’t be searchable, but as far as I know, Adobe hasn’t come up with a „disallow search“ restriction (which no doubt, a lot of publishers would use) so you can search in the original, restricted PDF. Bereits eine Stunde nach Ende der ZDF-Sendung „Aktenzeichen XY … ungelöst“ konnten rund 200 Anrufe verbucht werden, bis heute stieg die Zahl auf 350. Nein, da hat nicht irgendein obzöner Betrunkener einen Aufkleber zwischen die Arschbacken geklebt, „das soll so sein“. … wäre ein super Titel für so eine ZDF Eigenproduktion, finden Sie nicht? Ich habe das Drehbuch im Kopf schon fast fertig: Auf Elba trifft der verwitwete Kardiologe Rudolph von Stattelhoffer die smarte Tierpflegerin Hanne, die dort auf der Insel das gebrochene Bein des Schimpansen Rudolf kuriert. Eine unheilvolle Verwechselung, durch lustigen Schabernack des Schimpansen und dessen Namensvetterschaft zum Kardiologen verursacht, lässt den Verdacht entstehen, dass Dr. Rudolph seine Frau ermordet hat. Zwischen Rudolph und Hanne knistert es zwar, aber sie weiß nicht, ob sie dem Kardiologen vertrauen kann. „Ich würde mich so gerne in Deinen starken Armen fallen lassen, aber ich weiß nicht, ob ich Dir vertrauen kann.“ könnte sie ihm z.B. in einem intimen Moment zuflüstern. Wird es Dr. van Stattelhoffer gelingen, seine Unschuld zu beweisen? Oder zumindest Hanne davon überzeugen, dass seine Frau wirklich bei einem tragischen Tennisunglück auf dem von Stattelhoff’schen Anwesen umgekommen ist? Ich denke, man muss zielgruppenorientiert denken, wenn man Erfolg als Drehbuchautor haben will, und das 75-95jaehrige Kernpublikum beim ZDF mag sowohl schmucke Ärzte und Schimpansen. they can’t be used with the WYSISWIG Editor, because the built-in tinyMCE editor really goes out of it’s way to make sure it screws up anything remotely resembling source code. they require their own CSS styles that can either be included from the header template or appended to the end of the default.css stylesheet. Both options require editing „default“ files, which I think is bad style. A third guy called Håkan Carlström tries to address these issues, but unfortunately, I wasn’t able to get his version of the plugin code to work at all. Yes, it’s true, I spent the larger part of the afternoon sifting through *argh* php code. And now this. 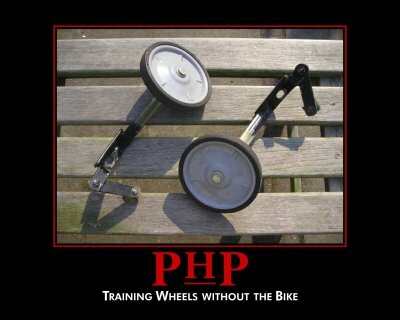 So: DO NOT USE THIS PLUGIN WITH PHP CODE! What else didn’t I get working? Glad you asked: including a link to the Coder Viewer stylesheet doesn’t work, because of an unseen entity from deep within WordPress that filters out link tags. That being said, you can download the semi-functional plugin here. Included on this page using the actual Code-View plugin!! You are currently browsing the archives for the Crap category.